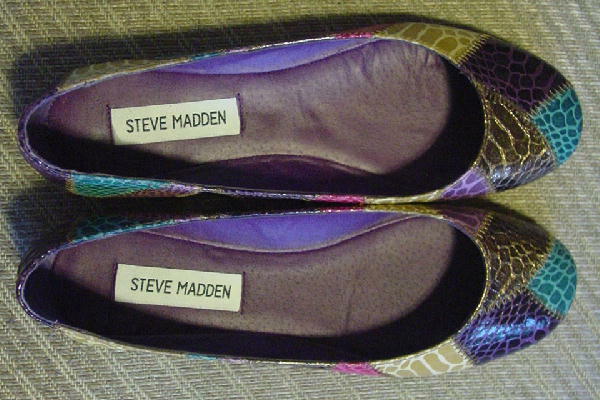 These never-worn embossed snakeskin flats are by Steve Madden. 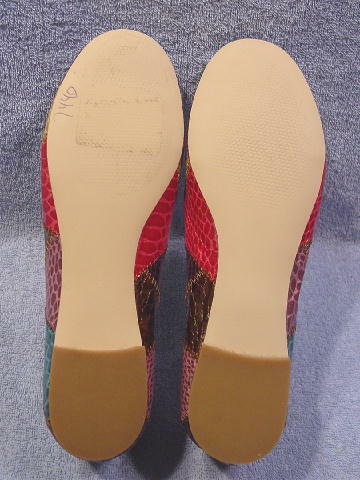 They have purple linings and insoles, a suede inner heel, manmade soles, and low heels. 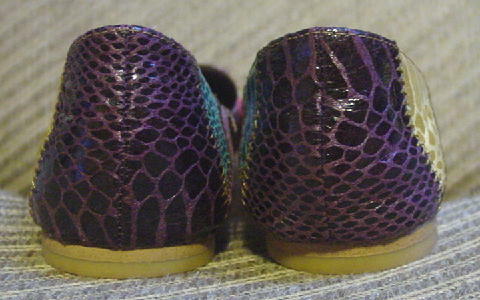 The embossed patches of snakeskin are in light and medium rose, light, medium and dark purple, light and dark green, light yellow cream, camel, and golden bronze lame. 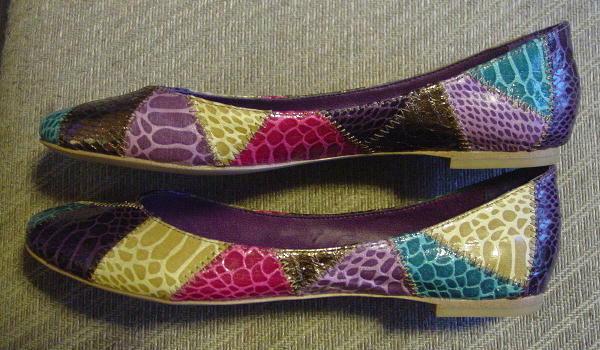 The lining says 7 1/2, but they fit more like a 7 to 7 1/2. A model bought them without trying them on. They're a little too tight for her. She couldn't find the receipt to return them.